Longhorn cattle traditionally reared in North Yorkshire, hung for at least 28 days and simply cooked on a real charcoal grill at the Hawksmoor. This is a genuine steakhouse with meat coming from Observer Food Monthly Producer of the Year, the Ginger Pig. A treat for unashamed carnivores - though steak is the main draw they also do ribs and pork chops and racks of lamb. Thick steaks cooked to tender pinky perfection are served with fat chips in a stainless steel pot. Sometimes the simple things are the best. Hawksmoor owners Will Beckett and Huw Gott continue the US theme with their Mexican style Green & Red bar and cantina on Bethnal Green Road. Hawksmoor Spitalfields gyms, sporting activities, health & beauty and fitness. The best pubs near London Hawksmoor Spitalfields. 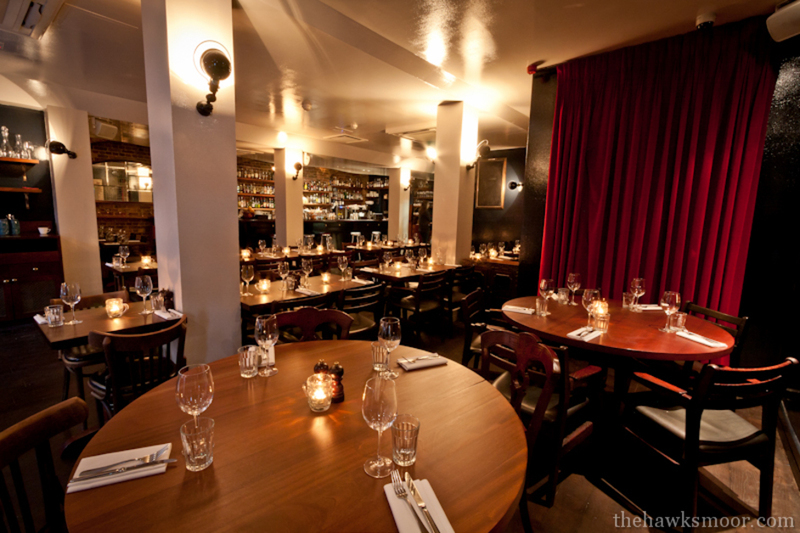 Hawksmoor Spitalfields clubs, bars, cabaret nights, casinos and interesting nightlife. Where to have your meeting, conference, exhibition, private dining or training course near Hawksmoor Spitalfields. From cheap budget places to stay to luxury 5 star suites see our deals for Hawksmoor Spitalfields hotels, including 196 Bishopsgate Serviced Apartments from 85% off.